Yesterday, a good friend of mine came over to spend some time in my kitchen. 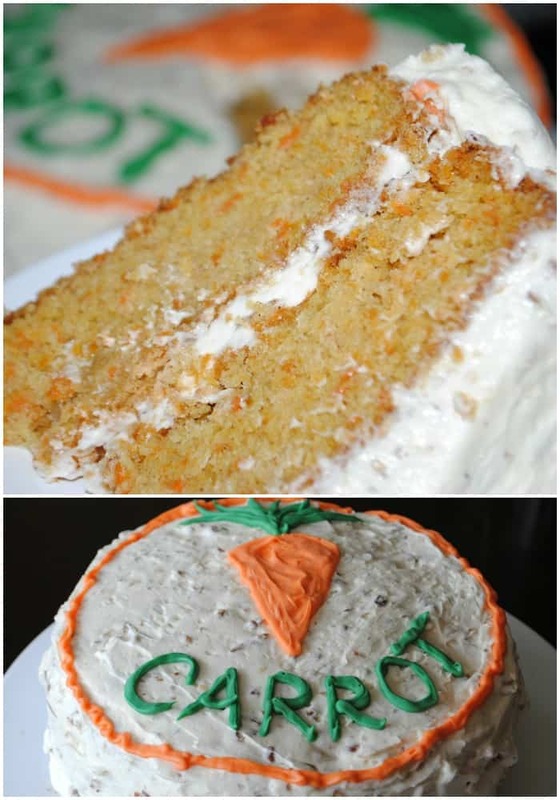 You see, it was her husband’s birthday and she wanted to make him a carrot cake (his favorite). I hadn’t planned originally on making one for our family, but it sounded so good I went with it! My friend made hers in a 13×9 pan and wrote Happy Birthday on it….me? This is what I did! 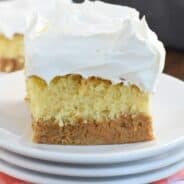 I like double decker cakes…more frosting per bite! I decorated the top with green and orange Wilton’s candy melts. You can certainly leave it undecorated though! 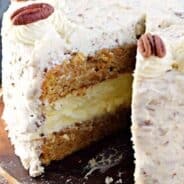 Delicious Carrot Cake with Cream Cheese Frosting and pecans! Mix 2 c. sugar, oil and eggs. Add flour, baking soda, baking powder, and cinnamon. Beat for 2-3 minutes until fully combined and fluffy. Preheat oven to 350 degrees. In well greased and floured 9 inch cake pans, pour batter. Bake for 30 minutes. When cake is cooled, cream together butter and cream cheese (about 3 minutes). Add vanilla, powdered sugar and mix well. Fold in pecans. Spread over cake and enjoy! This weekend was HOMEWORK weekend at our house. Alex had a week’s worth of work to finish, and he has quarterly assessments this week, so lots of studying. Alyssa had to make the “Incredible Edible Cell.” Of course it didn’t have to be edible, she could have chosen an option to make just a 3D replica of an animal cell…but why not be different? So, we made our cell (cytoplasm) out of rice krispie treat, wrapped it with fruit roll ups (cell membrane) and used different candies to represent different parts of the cell. I had meant to take a picture of it without all the flags…but you get the gist! Anyways, thought I would share in case any of you have to do this project! Have fun. Mmm, looks like one fantastic cake. I prefer the double decker variety myself. 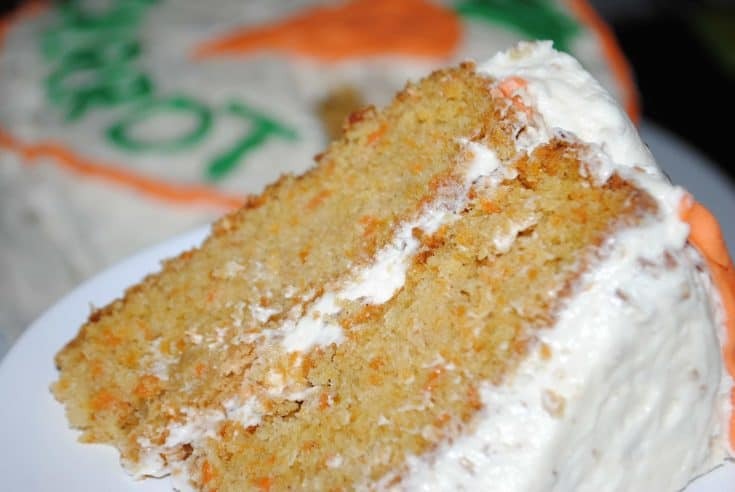 This is a wonderful cake, I add instant vanilla pudding and extra carrots. I also add the walnuts to the cake mix. My favorite!!! How much batter will this make? looking forward to eating a piece of this cake. love cream cheese. 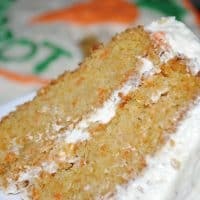 I was not able to find the complete recipe for this Carrot Cake Cheesecake cake recipe. 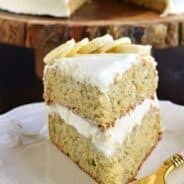 I did find the carrot cake part and was able to see the frosting part (cream cheese, sugar, 2 eggs, sour cream, cream – but not the amounts of this recipe. would appreciate it if I could have the recipe.